Set in the turbulent 1960s to mid-70s, Dreamgirls follows the rise of a trio of women--Deena (Beyonc� Knowles), Effie (Jennifer Hudson) and Lorrell (Anika Noni Rose)--who have formed a promising girl group called The Dreamettes. At a talent competition, they are discovered by an ambitious manager named Curtis Taylor, Jr. (Jamie Foxx), who offers them the opportunity of a lifetime: to become the back-up singers for headliner James "Thunder" Early (Eddie Murphy). Curtis gradually takes control of the girls' look and sound, eventually giving them their own shot in the spotlight as The Dreams. That spotlight, however, begins to narrow in on Deena, finally pushing the less attractive Effie out altogether. Though the Dreams become a crossover phenomenon, they soon realize that the cost of fame and fortune may be higher than they ever imagined. 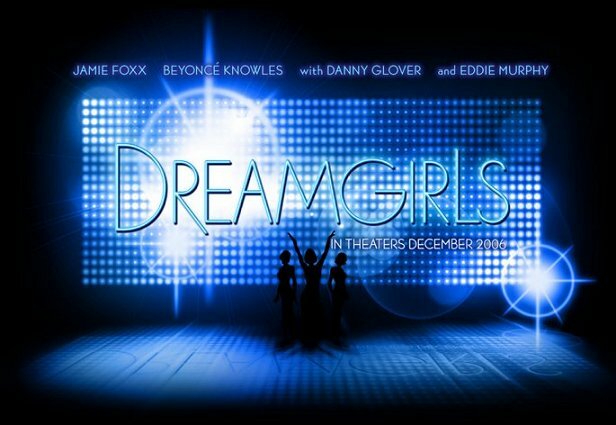 Bill Condon is directing Dreamgirls from a screenplay he adapted from the stage musical's original book by Tom Eyen. An Academy Award winner for his screenplay for Gods and Monsters, which he also directed, Condon earned another Oscar nomination for his screenplay adaptation of Chicago. Rounding out the main cast are veteran actor Danny Glover (Lethal Weapon), Keith Robinson (Fat Albert), Sharon Leal (TV's Boston Public), and three-time Tony Award winner Hinton Battle (Miss Saigon, The Tap Dance Kid, The Wiz). Academy Award-nominated producer Laurence Mark (Jerry Maguire, As Good As It Gets, I, Robot) is producing Dreamgirls, with Patricia Whitcher (Memoirs of a Geisha, The Terminal) executive producing. The lyrics are by Tom Eyen, with music by Henry Krieger. The music supervisors are Randy Spendlove (Chicago, The Aviator) and Matt Sullivan (Rent, Chicago), with the songs being arranged and produced by The Underdogs (Harvey Mason, Jr. and Damon Thomas).